Something you probably want to have in your car! I’m a no stranger to Bestek products, in fact, I have reviewed the super useful power extension before. 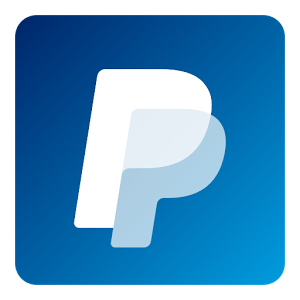 A couple of weeks ago I’ve used my private account to participate in one of their giveaways. I could have asked them about a review unit, but I tried my luck instead. You are reading this article because I actually got lucky for a change and won something! Yey for me! Let’s be honest, this is not the most interesting item to talk about on the website focused on automation, which was one of the main reasons I have not asked for the review unit. 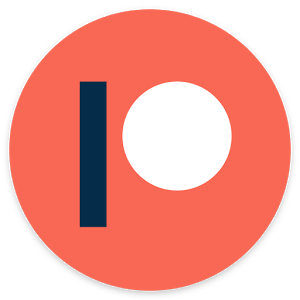 I have the gadget, and I’m actually happy to share a couple of words about it! 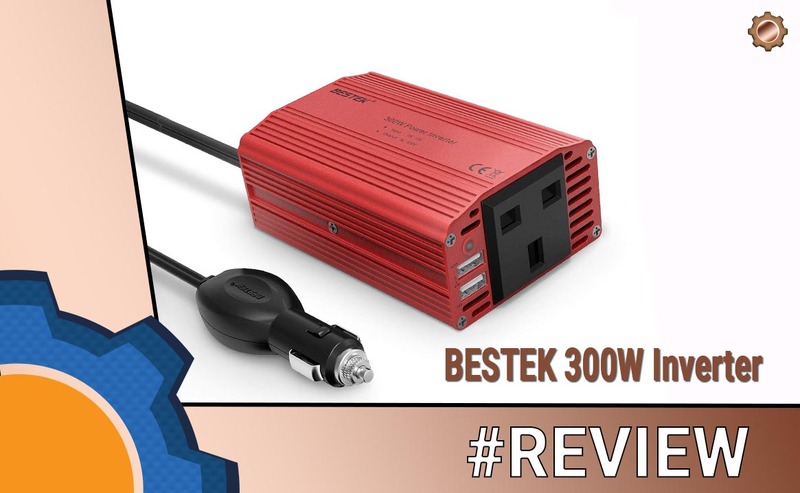 Packed with a 300W mains socket and two 2.4A USB ports – Bestek 300W power inverter can power up a lot of devices at once. The reason I have it in my car is the spare 12V socket at the back. I can not only charge additional USB devices for my passengers but also power up a laptop. My work commute takes 2h (don’t ask) and this is more than enough time to fully charge the Lenovo Yoga 710 laptop and my phone. I’d use the inverter a little more often (other than when laptop charging is required) however, the device comes with active cooling. The fan while isn’t noisy, it is audible. 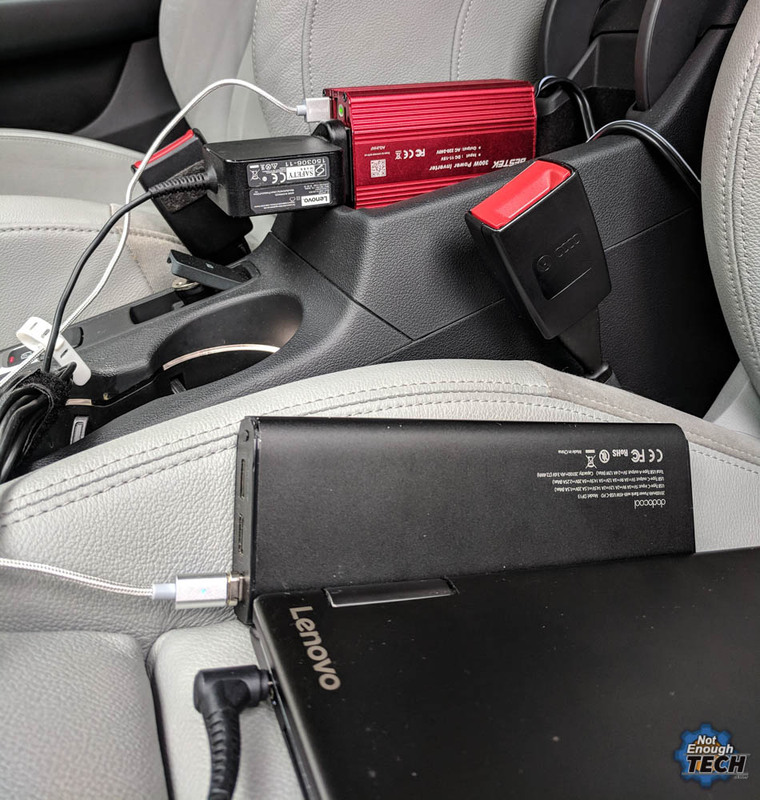 The only remedy for this is to either stick the Bestek 300W power inverter at the back of the car or crank up the audio in my car. There are two improvements I’d like to see on the product like this. A detachable L-shaped power cable. This would ease the storage and the 12V plug would not stick out like a sore thumb. 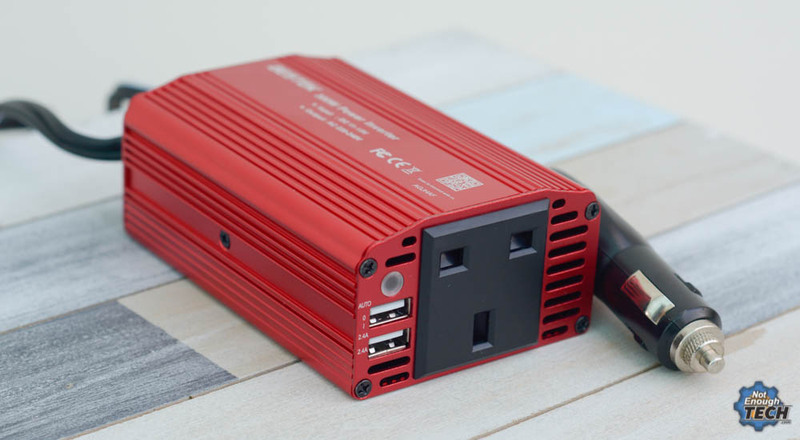 The Bestek 300W power inverter could also use some velcro mounts, or something similar to fit the converter under a seat or something. This is a very awkward device to keep around in the car. I’m pretty sure I will come up with a clever way to fix it permanently underneath the seat. 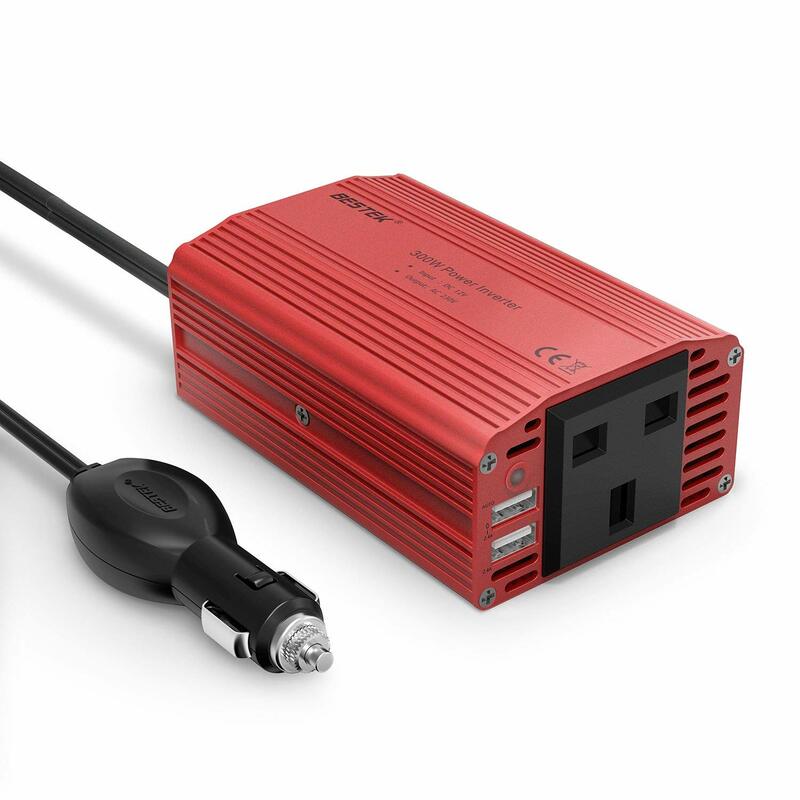 Other than these life-improving changes, the Bestek 300W power inverter is an excellent car companion. 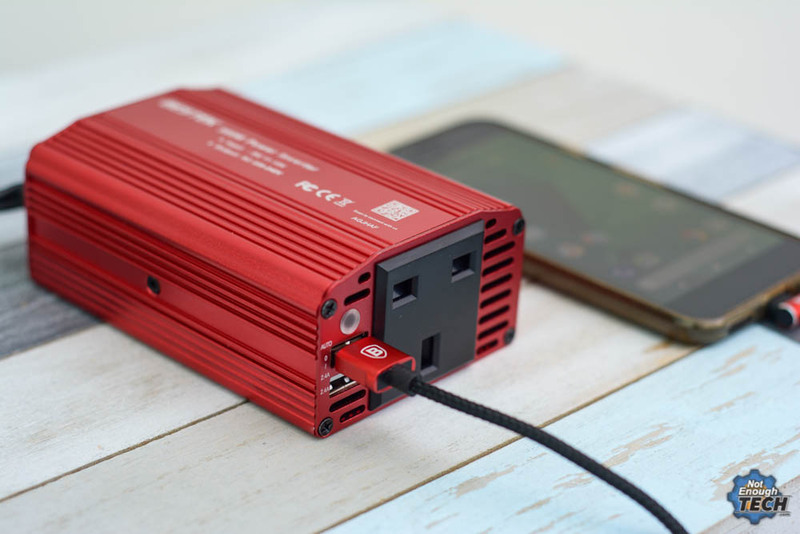 Whether you want to charge your laptop or plug in a couple of USB devices, Bestek 300W power inverter is a great choice for any car if you don’t mind a little bit of fan-generated noise. It comes at a reasonable price. Get one especially if you have more than one 12V socket!